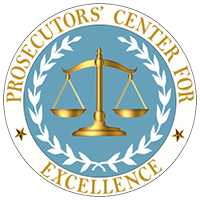 The Committee: The Virginia Association of Commonwealth’s Attorneys (VACA) Committee on Justice and Professionalism, established in September of 2014, serves as a forum for Virginia prosecutors to share information, collaborate on case reviews, remain current on legal and investigative trends, and avoid erroneous convictions. 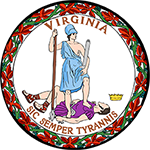 Committee members include elected Commonwealth’s Attorneys and deputies from a diverse range of counties and cities throughout Virginia. The committee had initially been funded in part by a grant from the Bureau of Justice Assistance, and now is supported by VACA. The committee meets on a regular basis and its members have been assigned to address key topics including discovery, ethics and integrity, forensics, special victims, and technology. The work on these issues is ongoing. Contact Information: Mike Herring, Richmond County Commonwealth’s Attorney, herringmn@ci.richmond.va.us, or Theo Stamos, Arlington County/City of Falls Church Commonwealth’s Attorney, Tstamos@arlingtonva.us.